BHP has rejected claims by the UN that the tailings released from the Samarco Dam disaster are toxic. In a report released earlier this week, two UN independent experts said the 50 million tonnes of tailings which escaped from the dam, and flowed into the Rio Doce contained “high levels of toxic heavy metals and other toxic chemicals”. UN Special Rapporteur, John Knox, said the Doce “is now considered by scientists to be dead and the toxic sludge is slowly working its way downstream towards the Abrolhos National Marine Park where it threatens protected forest and habitat. Sadly the mud has already entered the sea at Regencia beach a sanctuary for endangered turtles and a rich source of nutrients that the local fishing community relies upon”. However, BHP has rejected these claims. “The tailings that entered the Rio Doce were comprised of clay and silt material from the washing and processing of earth containing iron ore, which is naturally abundant in the region,” it said in a company statement. It went on to state that Brazil’s National Water Agency (ANA) and the Brazilian Geological Service (CRPM) are carrying out analysis on water and sediment in the river. 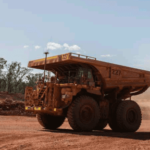 “Results from these samples on 14 November 2015 indicate ‘that concentrations of metals obtained at these sites do not significantly differ from the results produced by CPRM in 2010’, BHP added. Earlier this week the tailings from the Samarco mine reached the Atlantic Ocean, as the incident becomes the worst environmental disaster ever seen in Brazil. The mining waste has travelled approximately 500 kilometres over two weeks to reach the sea, where Samarco has set up nine kilometres to attempt to protect flora and fauna from the mud. 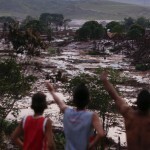 Brazil's environment minister Izabella Teixeira described the event as the worst environmental disaster in the country's history. "Our current environmental laws are insufficient to deal with an accident of this magnitude,” she said. Samarco Mineração has faced more than $400 million in damages, fines, and frozen funds, however Deutsche Bank says the cleanup could cost more than $1 billion, with years before the site could reopen. The Samarco joint venture is presently facing a lawsuit for the disaster, with $3.69 billion claimed as compensation for environmental damages.